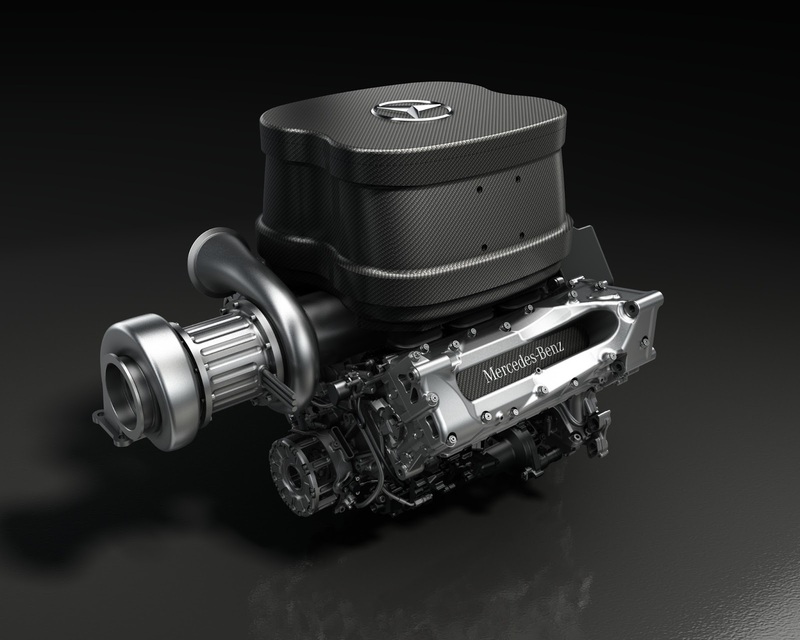 In an effort to reduce fuel consumption in Formula One by up to 35% the FIA have introduced wholesale changes to the technical regulations to significantly increased energy harvesting for the 2014 season. In addition to doubling to power of the Kinetic Energy Recovery System (KERS), first introduced in 2009, from 60 kw to 120 kw and increasing kinetic energy storage by five times from 0.4 MJ/lap to Max 2MJ/lap, a new method of heat-based Energy Recovery System has been introduced. The regulations refer to the two devices as the ‘Motor Generator Unit – Kinetic’ (MGU-K) and ‘Motor Generator Unit – Heat’ (MGU-H). The latter uses heat energy from the turbo to generate electrical energy. 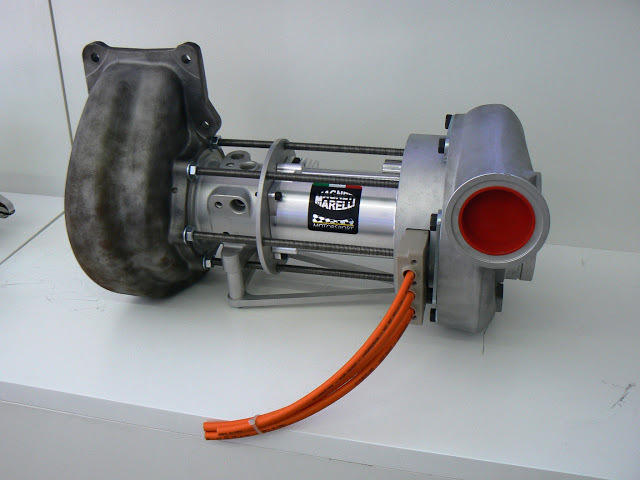 The MGU-H unit captures waste heat as it is dispelled from the exhaust turbocharger via an electric generator attached to the turbocharger shaft. This waste heat energy is stored as an electrical charge adding an additional 2MJ/lap to KERS resulting in 10x (4MJ compared to 400 kJ) as much electric power boost per lap compared to 2013 KERS. What can you tell us about the 2014 engine? First of all, let’s mention the rules rather than the engine. For 2014, the rules specify a maximum race fuel allowance of 100 kg – compared to a typical race fuel load of around 150 kg today, although that’s not fixed by the rules. That means we have one third less fuel to complete the same race distance with – and we want to do it at the same speed. So we need a powertrain that’s 30% more energy efficient. And that’s where the new engine comes in? Well, it’s not really just an engine any more. Without getting too technical, Article 1.22 of the Technical Regulations now refers to what’s called a ‘Power Unit’. This comprises an ICE (Internal Combustion Engine), an ERS (Energy Recovery System) and all the ancillaries needed to make them work. But why a Power Unit? Well, today’s V8 essentially features a “bolt-on” KERS Hybrid system that was added during the engine’s life. The 2014 Power Unit has been designed with integrated hybrid systems from the very beginning. Interesting. F1 loves jargon, so ICE and ERS sound just perfect. What do they mean? The ICE is the traditional engine in the Power Unit package. 1.6 litre capacity, turbocharged, and with direct fuel injection at a pressure of up to 100 bar. Where the current engines rev to 18,000 rpm, the ICE is limited to 15,000 rpm from 2014. As for ERS, it’s like KERS on steroids: not only can we still harvest energy from and deploy energy to the rear axle, we can now do the same from the turbocharger; the kinetic machine is called MGUK (Motor Generator Unit Kinetic) and the machine on the turbo an MGUH (‘h’ for heat). In total, we are allowed to harvest and deploy energy at twice the power to the rear axle – so 161 hp compared to 80.5 hp today. And we are allowed to deploy ten times as much energy – 4MJ compared to 400 kJ. Simply put, that means a bigger power boost for a higher percentage of the lap. And that’s what helps improve the efficiency? Exactly. Part of the efficiency gain comes from the ICE, which runs at lower speeds with fewer moving parts than the V8 and the benefit of turbocharging; but the other part is to be found in the ERS. Today, the fuel energy we combust in the engine then has one possible energy journey to improve system efficiency, via the KERS system. In 2014, there will be up to seven possible energy journeys to keep energy within the vehicle rather than wasting it through the exhausts and brakes. Sound pretty impressive. Will it be exciting for the fans? We believe so. The target is to achieve the same power output of around 750 hp but to do so using around 30% less fuel. In terms of sound, the engine note is not as loud as the current V8 because of two factors: the lower engine speed and the fact that the turbocharger sits in the exhaust flow, recovering energy from it that would otherwise be lost as heat and sound. But because of the mechanical balance of a V6 engine, it also sounds sweeter. And we’re confident that fans will find it pretty exciting when they hear it at the track. What impact will it have on the racing? First of all, the engine is going to produce a lot more torque than the current V8 and over a wider power band. That means the car is going to be grip limited on corner exit, in technical terms; in layman’s terms, they’re going to be a handful for the drivers. The next point is that it will reward the most intelligent drivers - the fastest way to finish a race will not always be straightforward and the cleverest drivers will probably adapt fastest to the new challenges. So will we see F1 turned into an economy run – or cars running out of fuel in the latter stages? Unlikely. Managing fuel consumption is already a critical part of F1 and it will remain so in 2014; for example, did you know that our V8 can complete a race distance today using 11.6% less fuel than it did in 2006? Today, teams are very good at monitoring fuel consumption: we track each injection of fuel into each cylinder so we know exactly how much fuel is being used. And there are over five million injections in an average race! Ultimately, the smartest driver in the quickest car will be successful in 2014, which remains true to the fundamental challenge of Formula One. What we’re really doing is putting the ‘motor’ back into ‘motorsport’. Apply the 'Motor Generator Unit – Kinetic’ (MGU-K) and ‘Motor Generator Unit – Heat’ (MGU-H) to a Wankel engine and we have a highly efficient road vehicle engine. Or forget the (MGU-K), have electric motors in the wheel hub then reclaim kinetic energy and have a large battery set and the Wankel turning a generator at a constant speed at its most efficient its sweet spot. then we have a wonderfully efficient hybrid with small generator unit. The efficiency may be greater than what the grid produces.